﻿ Amrap's AirIt | Australian Music Radio Airplay Project :: Classical :: Jessica Zuk; Callum Watson; Joel Hands-Otte - Piano Trio No.1 "Awakening"
Amrap's AirIt | Australian Music Radio Airplay Project :: Classical :: Jessica Zuk; Callum Watson; Joel Hands-Otte - Piano Trio No.1 "Awakening"
Jessica Zuk; Callum Watson; Joel Hands-Otte - Piano Trio No.1 "Awakening"
Callum Watson is an award-winning pianist, composer and producer specialising in both Jazz and Classical music. He recently won the Margaret Schofield Scholarship for composition having played at internationally renowned venues such as Melbourne Recital Centre, Malthouse Theatre and Bennetts Lane Jazz Club. As a composer, Callum has written original scores for nine theatre productions including one musical and also has a diverse portfolio of concert works which have been played by ensembles internationally. Critics see Callum “emerging as one of Australia’s most exciting composers and pianists”. Flautist Jessica Zuk enjoys performing works of all shapes and sizes – from the intimacy of solo and chamber repertoire to the thrill of orchestral music, though she maintains a particular affection for music of the Baroque era. She discovered a love of piccolo playing after taking up principal flute position with the Monash Academy Orchestra; and has also participated in Melbourne Youth Music’s ensembles as well as other large ensembles at Monash University. 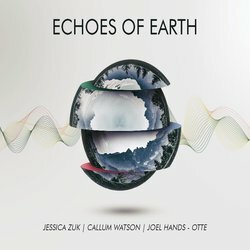 Joel Hands-Otte's (Clarinet) is an experienced Melbourne-based clarinetist holding a bachelor of music (honors) on Bass Clarinet. Specialising in both classical and jazz/improvisation, Joel has worked with renowned groups such as Melbourne Opera and Monash Art Ensemble. This is the light and sparse slow movement of Callum Watson's Piano Trio No.1 composed specifically for this piano trio. Using elastic tempo and a jazz orientated harmonic basis this piece is very much a modern lullaby.